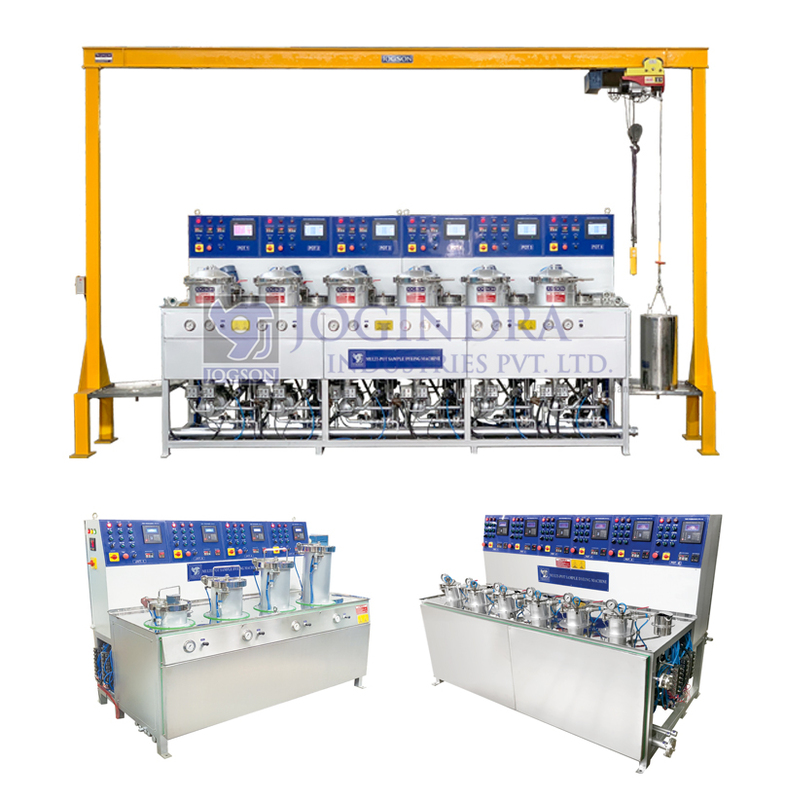 JOGSON Multi Pot Sample Dyeing Machine is ideal to run 2, 4, 6, & 8 Pots coupled to each other, dyeing yarns of same colour or running individually to facilitate dyeing yarn of different colours simultaneously. This is very useful for standardizing the recipes of dyeing before batches are taken in bulk. This avoids trial and error methods, hence saves time and resources utilized. Each pot has a range from 100 gms. To 1.5 kg. per batch as per the requirement. The apparatus allows sampling trails in laboratory. Each vessel can be charged with different type of materials. Each kier has its own pump and controller. Main feature of this machine is a perfect reproducibility from laboratory to bulk production. The machines are available with different levels of automations. The machine is suitable for dyeing of Polyester, Cotton, Viscose, Nylon, Acrylic, Texturized, Silk, Wool, etc. in various forms like Cone, Tape, Narrow Fabrics, Zipper, Hanks, Ribbons, Tops & Loose Fiber.